In this tutorial I'll show you how to use Adobe Illustrator to draw a personalized and unique lower-back tattoo. 1. 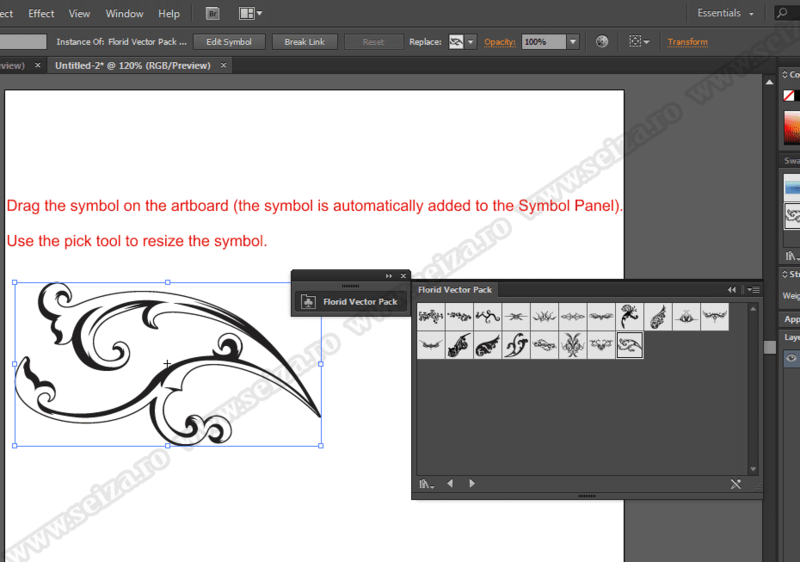 Open Adobe Illustrator and start a new document. If you consider to print your tattoo-design in order to show it to a tattoo artist it's better to select CMYK as the Color Mode for you document. 2. Open the Symbol panel. If you don't see the Symbol panel go to Window -> Symbols. Click on the Symbol Libraries Menu button (see the image below) or choose Window -> Libraries. 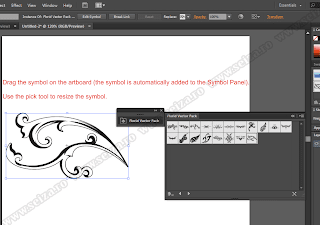 Illustrator comes with a pretty large collection of symbols, grouped in categories. When you open a symbol library, it appears in a new panel, not the Symbols panel.You can explore the categories until you find a symbol which seems appropriate for your design. 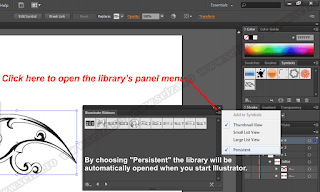 Tip: if you find a library which contains symbols that you might want to use repeatedly in your future projects, you can validate the Persistent check box and the library will be automatically opened when you start Illustrator. If you're not satisfied with the symbols from the Symbol Libraries you can make you own symbol - you can create symbols from most Illustrator objects (paths, compound paths, text objects, raster images, mesh objects, and groups of objects). Anyway, in the Florid Vector Pack I've found a symbol which I can use for my tattoo design. Open the Florid Vector Pack, click on the 19th symbol to select it and drag it on the artboard (see the image below). 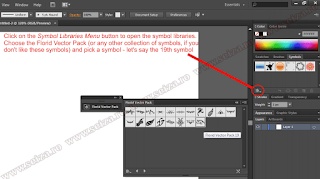 The symbol is automatically added in the Symbol Panel and now we can edit it (you can not delete or edit the symbols from the Symbol Libraries).